Matthew is a busy and energetic junior, accepting instructions across a range of Chambers’ practice areas. Before coming to the Bar he worked at the Criminal Cases Review Commission where he was involved in the investigation of a variety of cases, ranging from triple gangland murders to serious sexual offences and fraud. Matthew is respected and liked by solicitors and lay clients alike for his energetic, engaging and down to earth approach. Matthew has developed a very well regarded contentions probate and trusts practice and is first choice counsel for a number of firms in the region. His work in the area includes advising on will construction, claims for the rectification of wills, Part 64 claims, claims under the Inheritance (provision for family and dependants) Act 1975, rectification, personal representatives and claims for devastate and breach of will trusts. Matthew accepts instructions to appear and the County and High Court as well in the Principal and District Probate Registries. Matthew has a wide experience of commercial litigation, regularly advising and acting in commercial disputes at all stages from initial advice to enforcement of judgments. 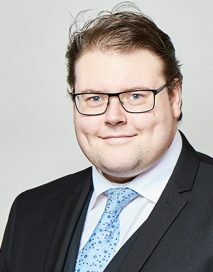 Matthew’s work includes all aspects of commercial litigation including breach of contract, faulty goods, misrepresentation, professional negligence, partnership disputes, shareholder disputes, debt recovery and insolvency. He has a solid success rate when representing Claimants against the NHS and his focused, methodical cross-examination is often cited as the reason for repeat instructions from both lay and professional clients. Matthew continued to develop his interest in criminal law as a pupil of David Lamb at Dere Street and now practises in the Crown Courts across the Northern and North Eastern Circuits. He is a Grade 2 prosecutor for the CPS and also conducts defence trials across the broad spectrum of criminal law.